At the moment, I'm using editors/texmaker. It seems similar to TeXnicCenter. There should be other options under editors, but I haven't tried them out. Vim and Emacs should also work well. I'm ready to submit the port, but the project doesn't provide yet a tarball to download, so I'm waiting the first official release. By "makes writing in TeX/Latex etc simpler", do you mean that it provides a lot of toolbars for writing symbols and structures? Now you can cd to texworks and build the binary as usual. Let me know if something goes wrong. works flawless for me. 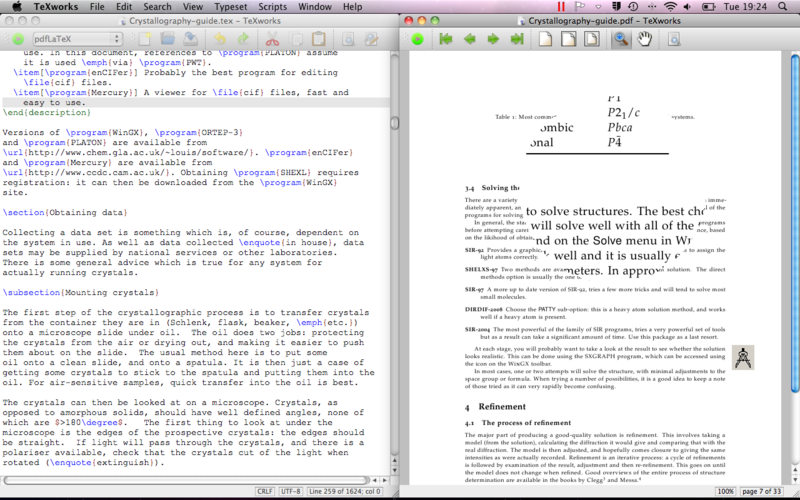 one need a big/wide screen to use texworks since it displays two parallel windows. On my netbook, I use klat w/o any toolbars to fit in the tiny screen.